While this world may be tumultuous, wild, noisy and in a great disturbance, those of us who are saved, the Church, can live in tranquility, we can be still, calm and quiet, because of our God, our refuge, strength, and very present help. Even though kingdoms shake, the heathen of this world rage, the earth seems unstable, the storms of the sea roll and the mountains seem to tremble, we must not forget or doubt our great God. He has laid the foundation of our faith, He has fortified the walls of our city, He has gathered the weapons for our defense and He has supplied all of our needs. The Psalmist gives us a picture of the commotion of this world today. The corruption, violence, wars, strife and even religious controversy that we see every day are causing unrest in many. Nations pass away, empires fall and this old earth is changing all the time. But, the Psalmist reminds us that our God never changes, we can trust Him, He is the same yesterday, today and forever. The troubles of this world are simply a sign and a proof that there is sin present and sin always brings trouble. The more sin that is present in this world, the more trouble there will be. God has given the saved of this world a great promise, one day, the trouble and the sin that is in this world will be removed. Christ came to this earth to conquer and put away sin, and that He will do. Those that trust in Him have their soul in a secure place and there is no need for alarm. 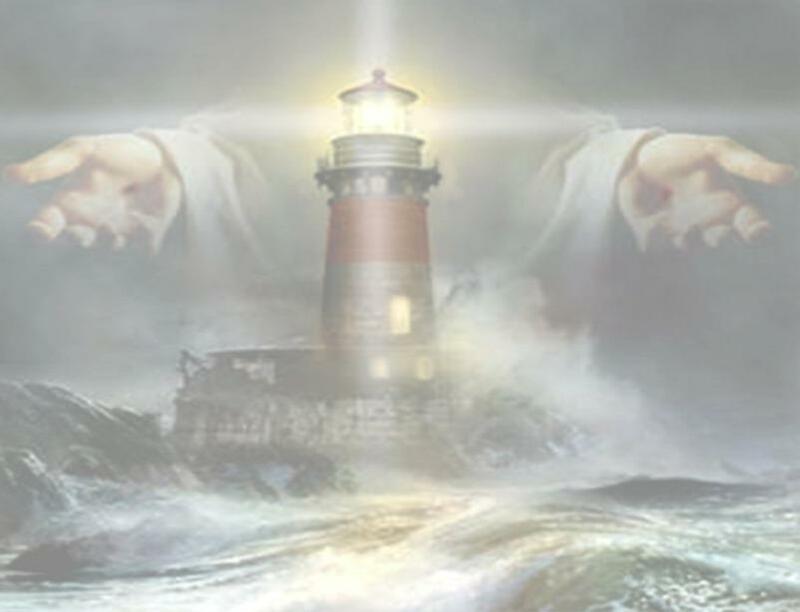 We have the assurance of the power of God when we make Him our refuge. Those that are kept by Him are secure and can never suffer real loss or harm. He is the Sovereign power over all the host and though the host of this earth seem to be against us, we have His power with us. But I will sing of thy power; yea, I will sing aloud of thy mercy in the morning: for thou hast been my defence and refuge in the day of my trouble. (Psalms 59:16). Too many today are singing the wrong song. The saved are not to cry and whine when trouble comes, we are to sing of our refuge in the One that has all power and the One that is our defense. In God is my salvation and my glory: the rock of my strength, and my refuge, is in God. (Psalms 62:7). And there shall be a tabernacle for a shadow in the daytime from the heat, and for a place of refuge, and for a covert from storm and from rain. (Isaiah 4:6). That by two immutable things, in which it was impossible for God to lie, we might have a strong consolation, who have fled for refuge to lay hold upon the hope set before us: (Hebrews 6:18). The God that cannot lie has told us in His Word that we have a powerful refuge from all the storms and troubles of this life. While this world is tossed and torn by troubles, we can rest in the goodness and power of God. We have great peace because we have easy access to our Refuge and His help is always at our disposal. Because of His presence, we have a place to retreat, a haven of rest from life’s storms. His presence is refreshing and it makes us glad. From Him flows a rich river of grace and blessing. In His presence, the guilty are forgiven, the broken are mended, and the heart is made new. Life, love and holiness are all freely given. The river of God’s presence flows deep and full, giving life and joy to all that are in it. That is our great consolation; we have help from the Most High. No matter what we have to face in this life, we have the promise that we do not have to face it alone; the LORD of host is with us! He is the unchangeable God, He is the God of Heaven, He is the God of the angels and, thank God, He is the God of every individual believer. In spite of all of our weaknesses and failures, He is still with us. There is victory for every trembling sinner because of the promised presence of God. And we know that all things work together for good to them that love God, to them who are the called according to his purpose. (Romans 8:28). They need to see the mighty works of our God. If they oppose Him, His Word or His people they need to know that they will be broken into pieces. The LORD of hosts is with us; the God of Jacob is our refuge. Selah. (Psalms 46:7). All who war against God are participating in a contest of feebleness. The God of Heaven can and will maintain His own cause and honor. What can the world do to us; the God of Heaven has promised that He will never leave us nor forsake us? The whole world may be wild and noisy, but we can be still because we are in Him, everything is subject to Him. That ought to be enough to make us break out in song; a glad song that comes from the lips of the redeemed. It is the music that lifts the heart of the afflicted. What a wonderful song, God is our sure defense and protection! In Him we have the promise of His power, presence and peace.